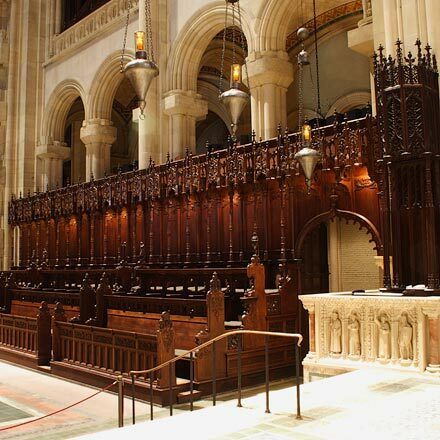 Noted by The New York City Landmark’s Preservation Commission as “the largest Cathedral in the world”, The Cathedral Church of Saint John the Divine’s magnificent French Gothic interior built in 1892, suffered a fire on December 18, 2001. 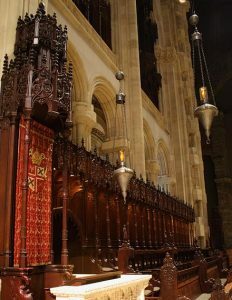 The smoke from the fire covered the entire interior surface of the cathedral with a thick layer of soot. 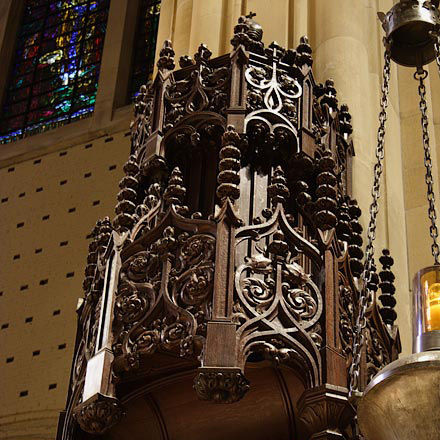 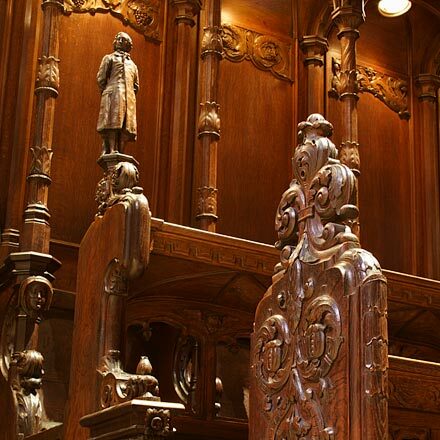 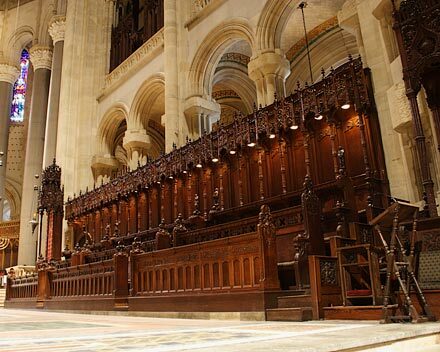 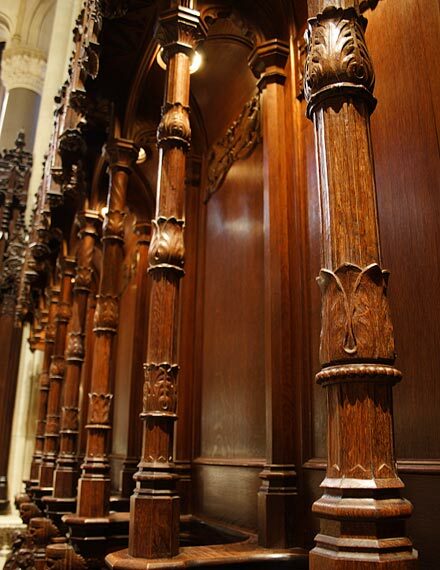 Ernest Neuman Studios was commissioned to thoroughly clean and refinish the wood choir stalls, thrones and organ casework back to their majestic opulence. 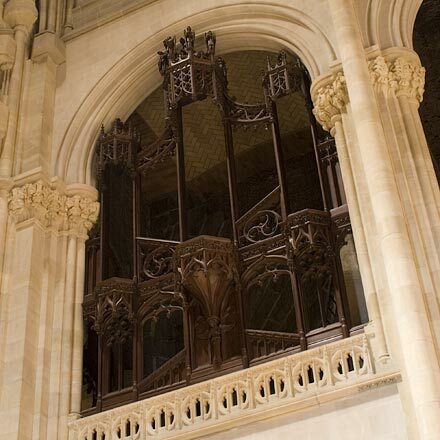 Working under the direction of Building Conservation Associates, Inc. (BCA), we tested and collaborated on the best methodology for cleaning and refinishing the wood surfaces. 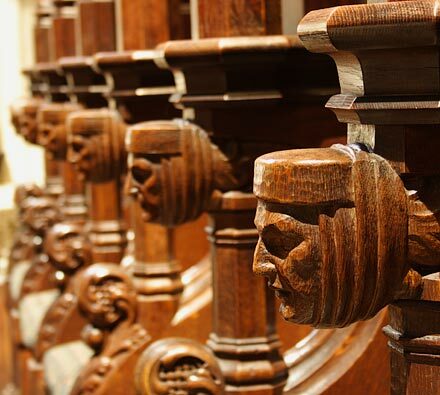 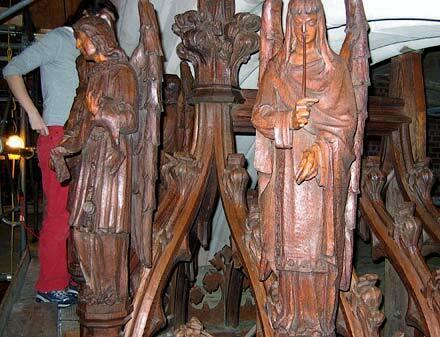 Upon approval, we began the massive task of cleaning and waxing the elaborately carved-wood choir stalls and other furnishings of the Cathedral’s Great Choir and Chapels. 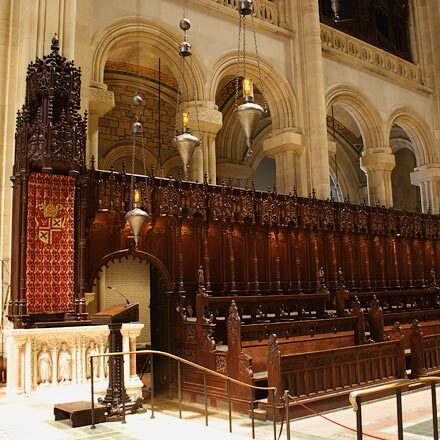 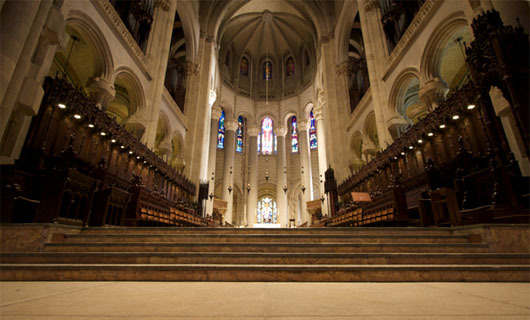 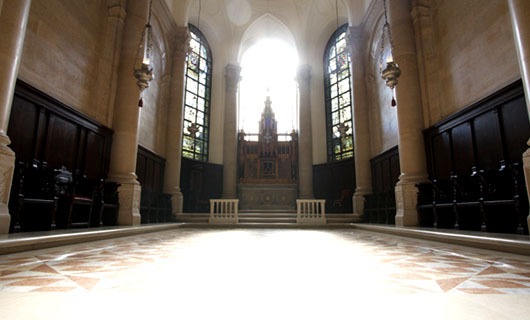 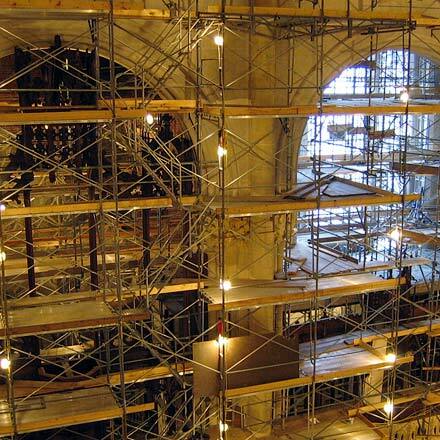 Additionally, Ernest Neuman Studios was instrumental in producing budget pricing that was helpful to The Cathedral in obtaining the appropriate insurance funds for this project.